Visesnut Guitar Cases appear to be one of the best lightweight travel cases on the market with a sleek design and a reputation for durability. Here’s a number of online reviews and videos including a great interview by Guitar Ramble. A great interview from Sean Thrower via his new site Guitar Ramble at the 2018 NAMM Show in Anaheim, CA. 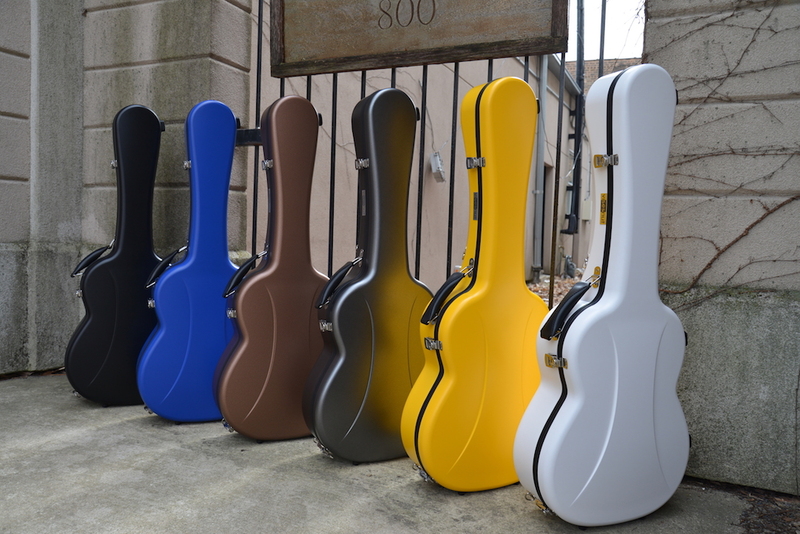 Sean talks with Marshall of Visesnut Guitar Cases about their line of light but durable cases. This comes via Guitar Ramble’s great new YouTube channel. I’ve heard nothing but excellent comments about Visesnut and believe they are one of the best cases on the market. Make sure to visit Guitar Ramble for more articles, lessons, and interviews. This is pretty good. Informative about the case, love that blue. Now let’s get 4 people to stand on it! This one is a bit silly, don’t do that Richard! This was one of the better reviews by the public. Any information or experience with the lining in these cases reacting badly with (fresh or set) french polish finishes? I don’t own one myself but tons of pros own these and I’d be very surprised if there were.